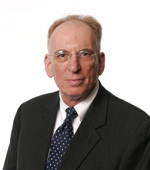 Stanley Shuman, Allen & Co., has chaired the Center’s Advisory Council for 20 years. His civic work included longtime membership on the Emergency Financial Control Board and the Lower Manhattan Development Corporation. Jeffrey Friedlander served as First Deputy of the Law Department for 20 years. He has now retired from the Law Department after 44 years of service. Mary McCormick is the creative and innovative Executive Director of the Fund for the City of New York, the leader in New York City civic philanthropy. In 1994 she approved the first grant the Center received and continues to support the Center. Sheila Murphy Aresty is a 1994 graduate of New York Law School and was the first CityLaw Fellow. She has continued to be a major supporter to the Center for New York City Law. These exceptional New Yorkers represent the best in civic life and have earned the accolade of Civic Fame. Civic Fame awards for 2016 will be announced at a CityLaw Breakfast in May 2016.